CARBONDALE, Ill. -- Two Southern Illinois University Carbondale graduate students will enhance their education this fall as recipients of J. William Fulbright Scholarship awards. 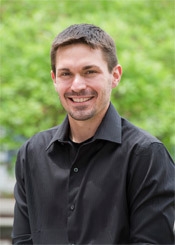 Andrew Barrette, a doctoral student in philosophy, will conduct research at the Katholieke Universitiet Lueuven in Belgium, where he will be developing his dissertation. Kristine Dizon, who earned her master’s degree in clarinet performance in May, will further her studies in clarinet and conducting at the Escola Superior de Musica Artes e Espectáculo under the direction of renowned clarinetist António Saiote. Barrette and Dizon believe the Fulbright program experience will strengthen their educational and professional experiences. 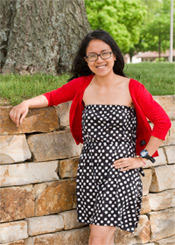 Dizon, who recently placed as a semifinalist for the International Clarinet Association Research Competition, said she hopes to make an impact sharing her musical knowledge in Portuguese schools and that the intense musical study and training will help her grow as a clarinetist and as a teacher. She hopes that after earning her master’s degree and spending an academic year in Portugal, she can continue her research and study in a doctoral program to one day teach at the collegiate level. Barrette is the son of Nancy and Gary Barrette of Wauzeka, Wis. He earned his bachelor’s degree in philosophy and women’s studies from the University of Wisconsin-Platteville in 2007 and his master’s degree in philosophy from Loyola Marymount University in 2010. Dizon, the daughter of Flordeliza Dizon of Woodbury, Minn., earned her bachelor’s degree in music and European history from the University of Minnesota in 2012. Prior to that, she attended the Peabody Conservatory in Baltimore, Md. The Fulbright program, now in its 68th year, provides grants for college and university students, faculty and administrators on the basis of academic or professional achievement to lecture and conduct research in countries around the world. The program, which operates in more than 155 countries, was the creation of then freshman U.S. Sen. J. William Fulbright of Arkansas as a way to promote “mutual understanding between the people of the United States and the people of other countries of the world,” according to the organization. For more information on the Fulbright opportunities for SIU students, contact Thomas Savillle, associate director, Center for International Education at SIU at 618/453-7670 or by email at tsaville@siu.edu.